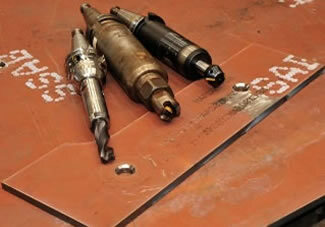 Dual Drill Spindles Increase Productivity by Over 40%! 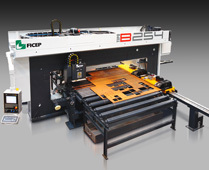 The Ficep Gemini plate processing line with its unique secondary axis for each spindle enhances the productivity by over 40% when compared to single spindle plate processor. 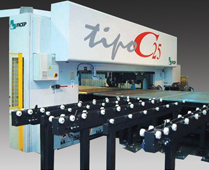 The sub axis, in conjunction with the second spindle, is like having two plate drilling systems in the same footprint and with the same operator. Holes do not have to be aligned to engage the second spindle as each one operates totally independently so both spindles are fully operational simultaneously. When you consider the 40% productivity increase for relatively little additional cost, this is why users are constantly opting for the dual spindle advantage! Process plate up to 8', 10', 12' or 20' in width. 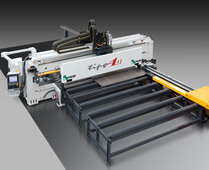 Twin beam construction supports the drill spindles on both sides for added rigidity. The spindles are not mounted outside of the frame. Gantry system eliminates lost time when loading or unloading the table regardless of the part sizes. Irregular shaped remnants can be effectively processed as the stock material is stationary. Maximum material utilization since it is not necessary to clamp the material for positioning. 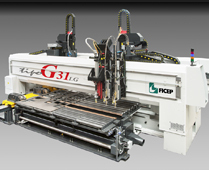 The system can be provided with two drilling spindles and multiple torches for increased productivity. Secondary "X Axis" permits hole patterns to be generated without having to reposition the gantry. 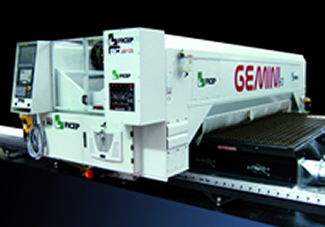 The Kronos CNC plasma/oxy-fuel cutting table was developed as a companion to the Gemini product line to address those applications where an enhanced throughput is required in the same footprint. 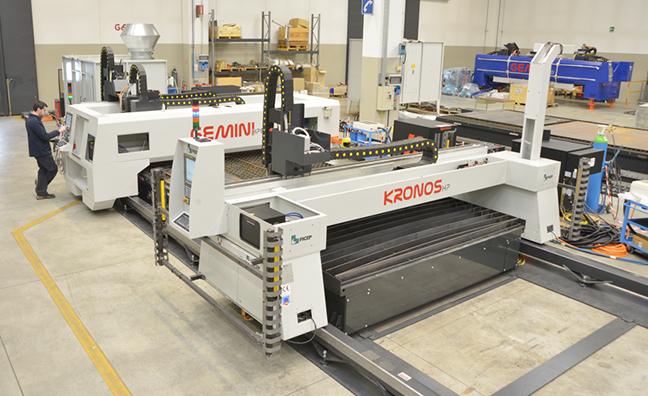 The Kronos is designed to run on the same longitudinal rails as the Gemini and to also share the same cutting table. 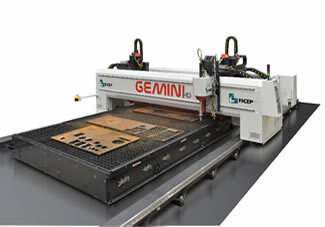 The addition of the Kronos to the Gemini can occur during the original installation or it can easily be added in the future as both units have their own independent CNC control. The powerful software permits both the Kronos and the Gemini to operate simultaneously within the same machine footprint. 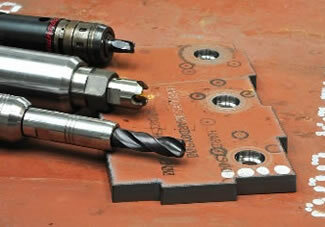 This powerful combination enables the simultaneous functions of cutting and drilling, milling, tapping, countersinking or counter boring with only one operator. Max. plate size Inch 100" x 240" 120" x 240" 260" x 240"
Min. plate thickness Plasma Inch 1/4" 1/4" 1/4"
Max. plate thickness Plasma Inch 3" 3" 3"
Max. plate thickness Oxy Inch 6" 6" 6"